Racing against the clock and shuttling between Washington, Paris, and the Middle East, one of those shadow warriors, former CIA case officer Tom Stafford, must slip below the radar to uncover, target, and neutralize a deadly al-Qa'ida bombmaker before the assassin can launch simultaneous multiple attacks against America and the West. And as if that weren't enough, Stafford must simultaneously open a second front and mount a clandestine war against the CIA itself, because for mysterious and seemingly inexplicable reasons the people at the very top of the Central Intelligence Agency want him to fail. The characters and operations in Direct Action are drawn from true-life CIA personnel and their real-world missions. With Direct Action, John Weisman confirms once again Joseph Wambaugh's claim that "nobody writes better about the dark and dirty world of the CIA and black ops." 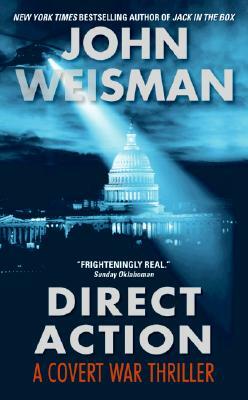 Seven-time New York Times bestselling author John Weisman is one of a select company of authors to have their books on both the Times nonfiction and fiction bestseller lists. He pioneered coverage of Naval Special Warfare when he co-authored the number one New York Times bestseller Rogue Warrior, the story of Richard Marcinko and the creation of SEAL Team 6, and then conceived, created, developed, and wrote eight bestselling Rogue fictional sequels. Pulitzer Prize-winning author Seymour Hersh praised his 2004 novel Jack in the Box as "the insider's insider spy novel." Weisman's CIA short stories were chosen for inclusion in Best American Mystery Stories in 1997 and 2003. His most recent CIA short fiction appears in Agents of Treachery. He reviews books on intelligence and military affairs for the Washington Times, and his analysis has appeared in AFIO's periodical Intelligencer. John Weisman lives sin the Blue Ridge Mountains of Virginia.